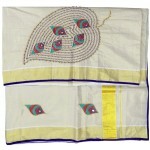 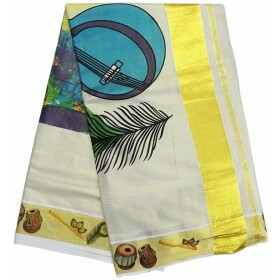 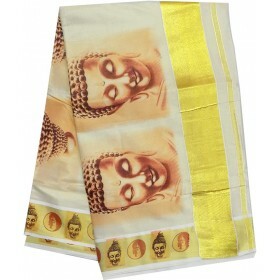 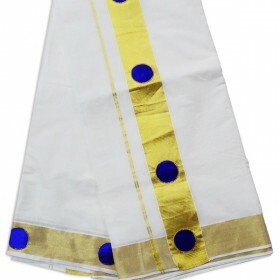 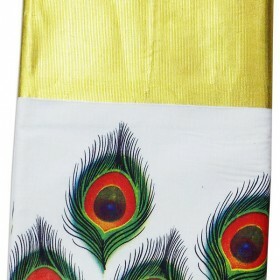 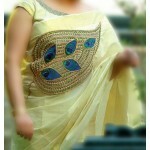 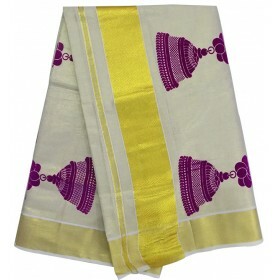 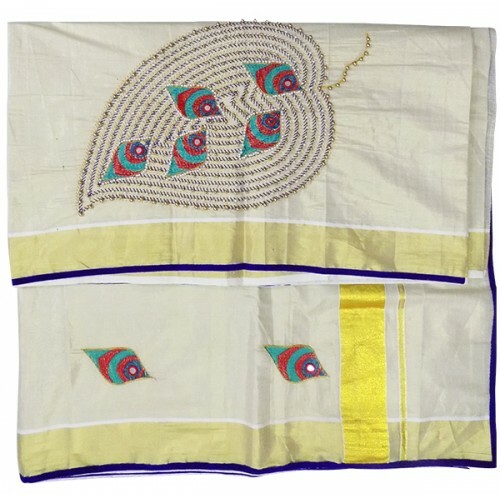 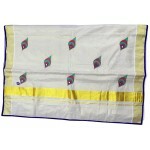 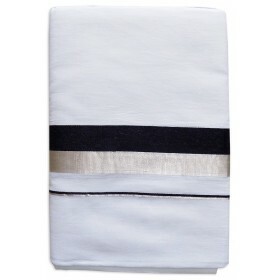 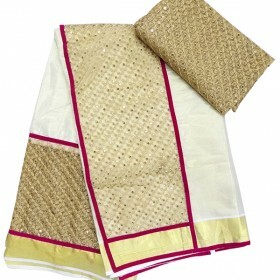 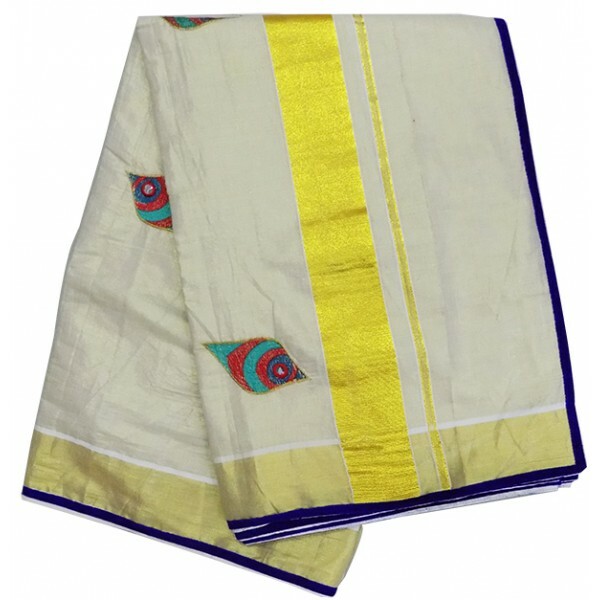 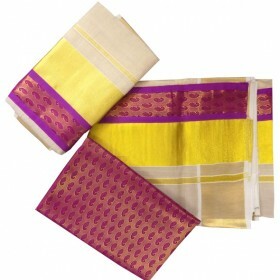 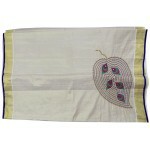 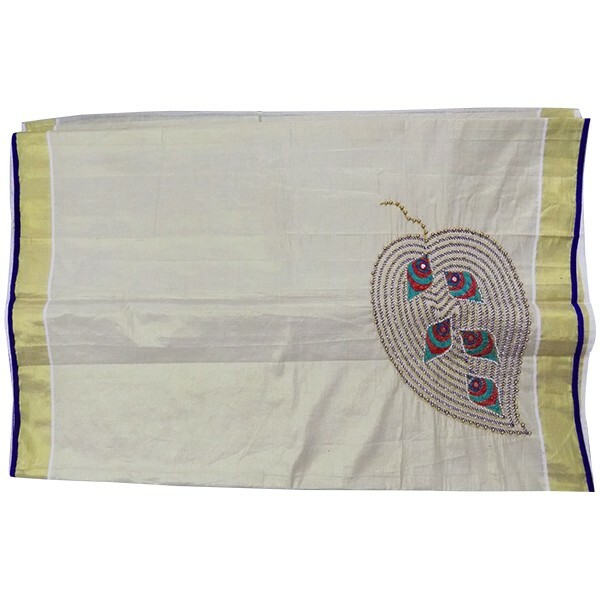 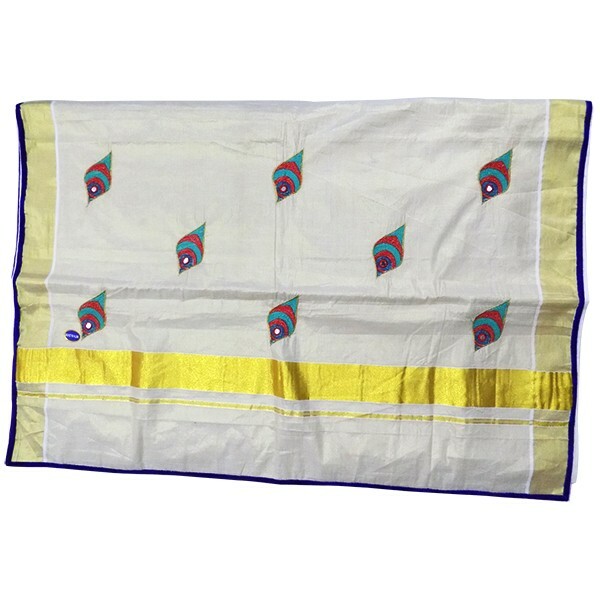 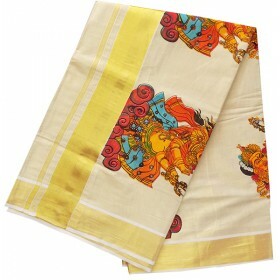 This Kerala Tissue Saree with Gold border has leafy Patch and beats work on the pallu and the Chest portion. 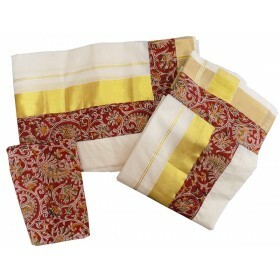 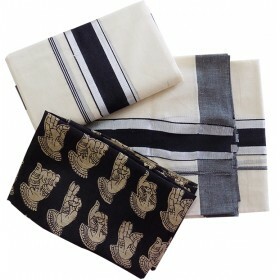 These item is unique trend for the new collection at Malabar shopping. 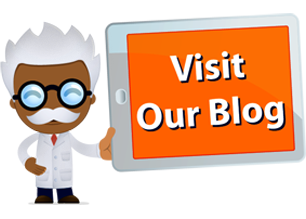 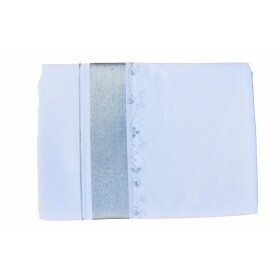 The Main attraction is once we wear the saree in a single pleat that the design of the patch and beats work is comes on the chest border.Design of the pallu and chest area as shown in the picture.